Let's be real. 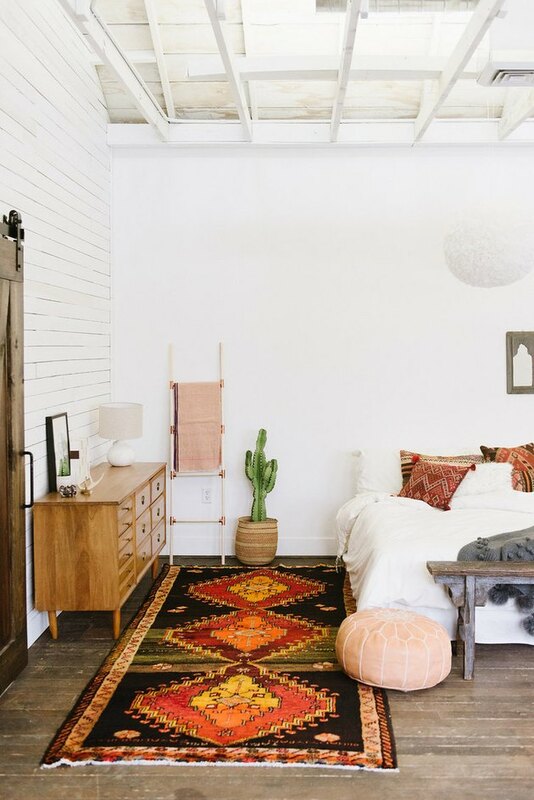 We love bohemian style in just about any space, but nothing tops a boho bedroom. 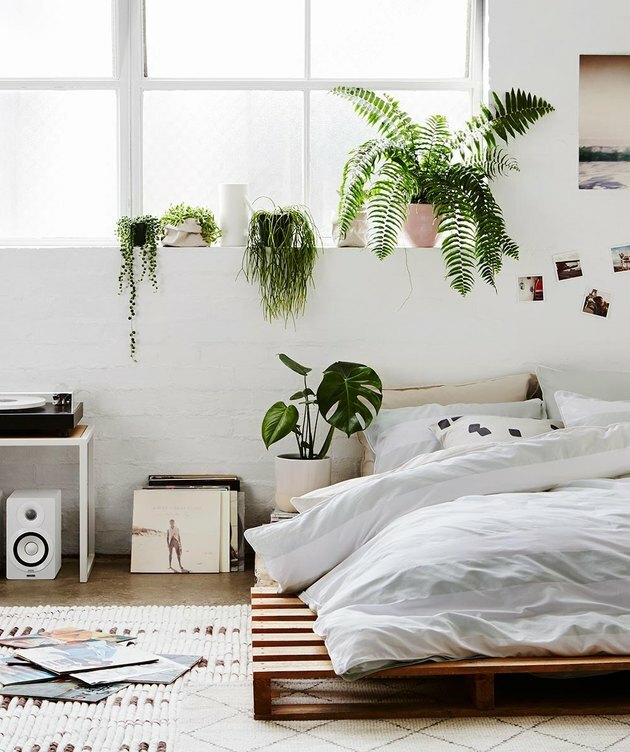 From luxurious layers to natural accents, every aspect of this aesthetic adds up to create an ultra relaxing and laid-back vibe — perfect for creating your own private oasis. 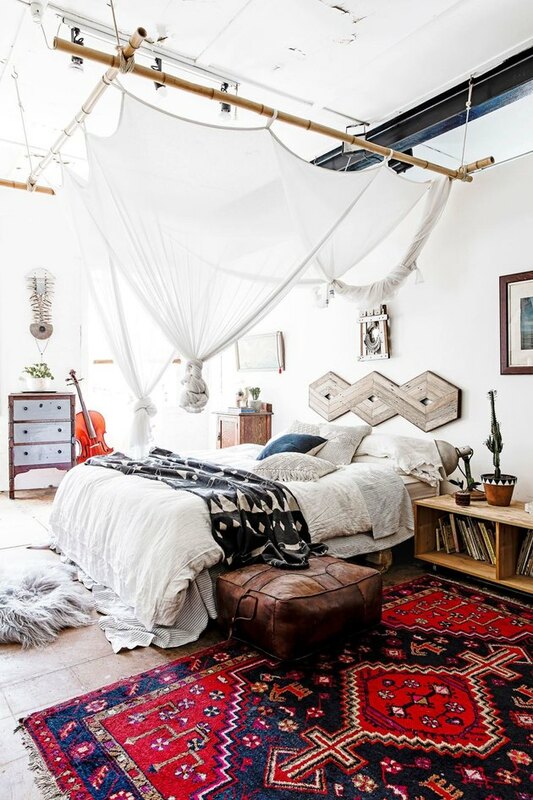 Just take a look at these 20 jaw-dropping boho boudoirs to see what we mean. 1. Make your bed look extra inviting. 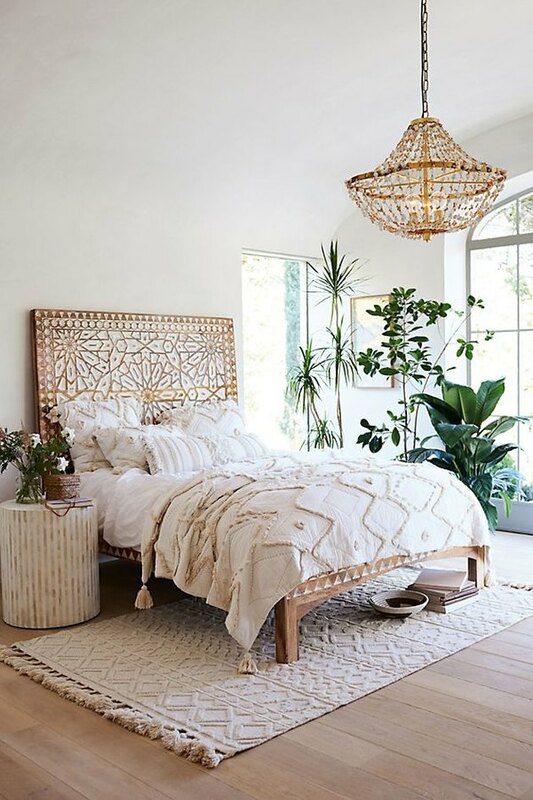 When it comes to a bohemian bedroom, the bed often takes center stage. 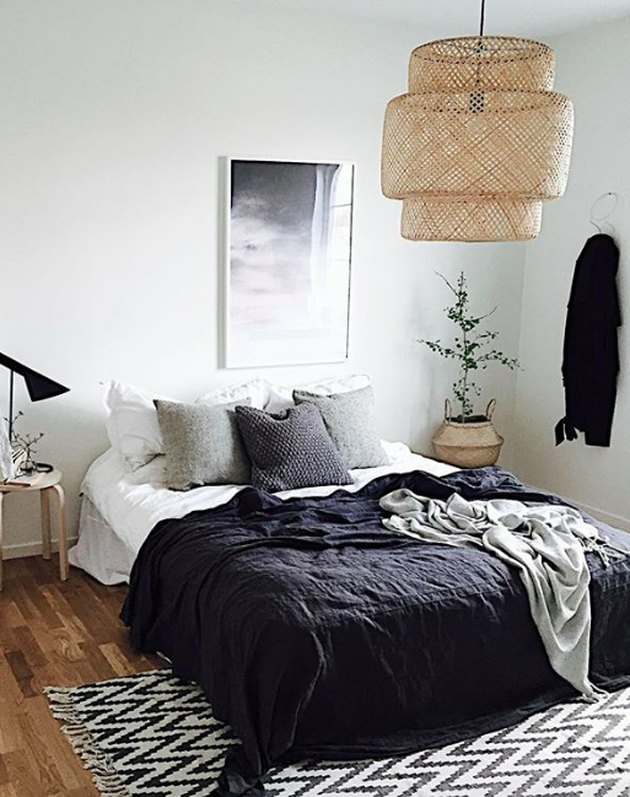 Make yours look extra inviting by piling it with cozy fabrics, pillows, and blankets that make you want to dive right in. 2. Stick with mostly neutral colors. 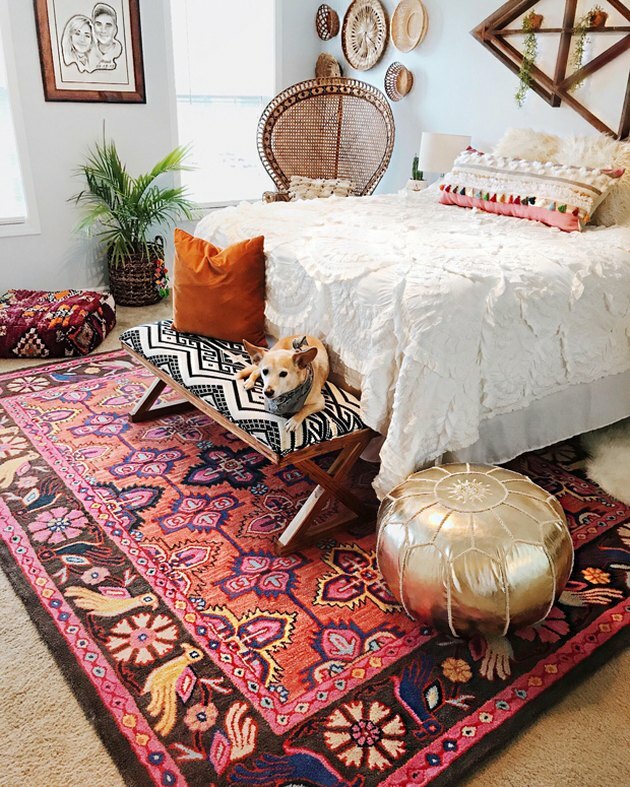 A few bright pops of color can be great, but create a good base for your boho design by choosing mostly neutral colors, textures, and finishes, like this light and bright bohemian bedroom. You can still pull off a bohemian look while keeping things understated. Nothing too over-the-top or "trying too hard" because, after all, bohemian flair is all about laid-back, easy breezy vibes. 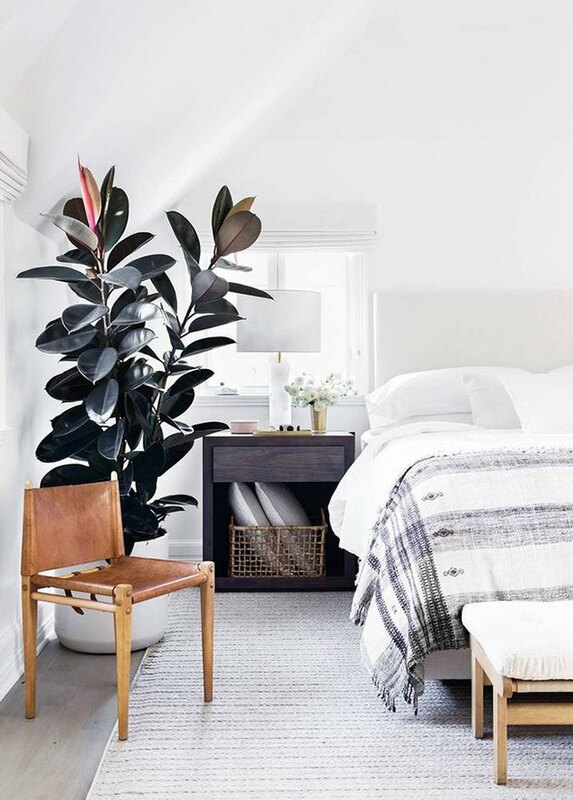 This chill New York City bedroom gets the look just right by going minimal on the accessories. 4. Create cozy vibes with a great rug. 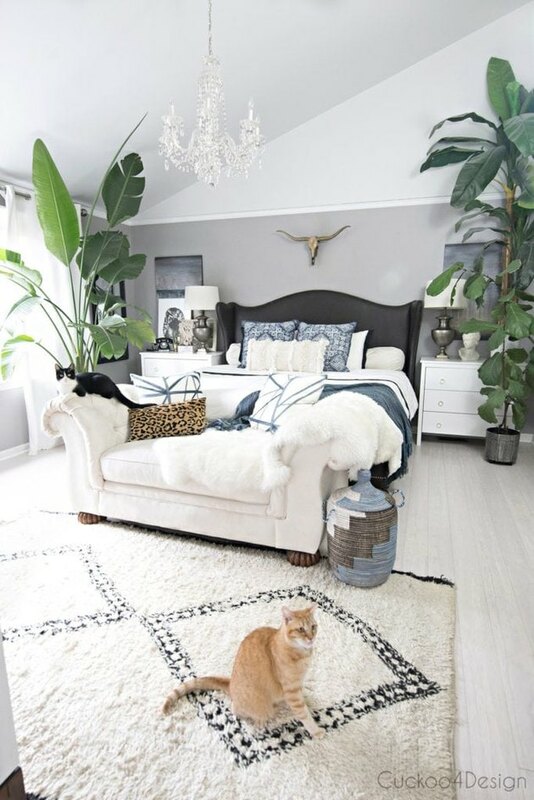 An eye-catching area rug creates a great foundation for any boho bedroom. Pick one that stands out against your otherwise low-key decor. 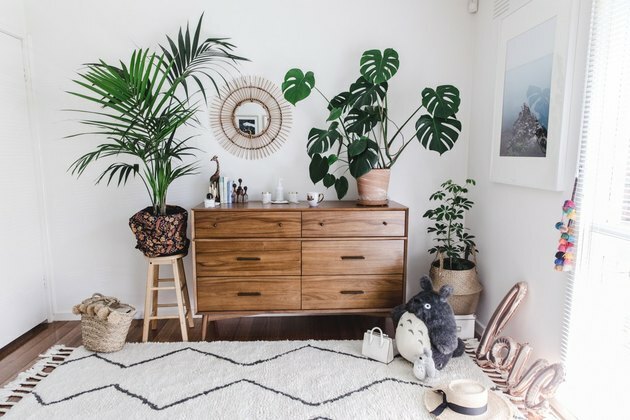 Let your inner plant lady shine by decking out your boho bedroom with plants galore. Cacti and low-light house plants make for virtually un-killable and low-maintenance bedfellows. 6. Pile on personality-infused accents. 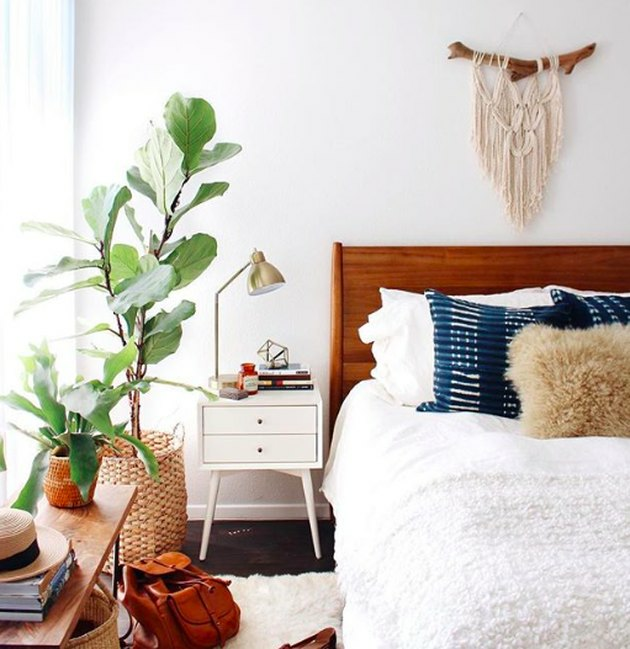 When it comes to styling your space, an easy way to transform a bedroom into a bohemian paradise is to deck it out with interesting accents, like blogger Connie Cao did in her Melbourne digs. For a more lively space, a few pops of bright color will do the trick. 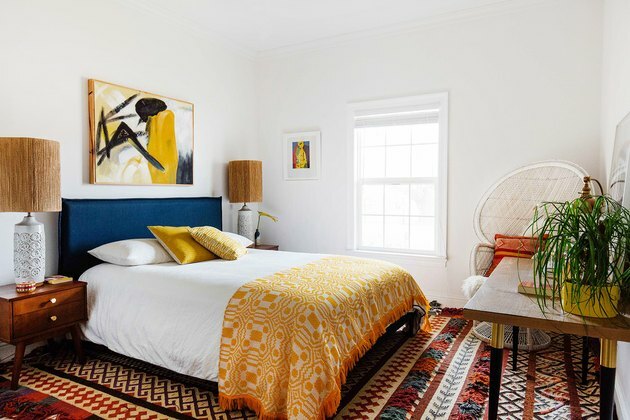 Sakara Life co-founder Danielle DuBoise's eclectic bedroom comes together beautifully by spreading vibrant tones throughout. 8. Add drama with lighting. In their downtown L.A. loft, actress Carlson Young and her fiancé musician Isom Innis make a bold statement with lighting. An exposed Edison bulb chandelier adds drama to their dreamy bohemian digs. 9. Woven wall hangings are a must. Woven wall hangings are a staple of boho decor. Hang one above your bed or on a blank wall to add some trendy style to your space. 10. Make it look effortless. 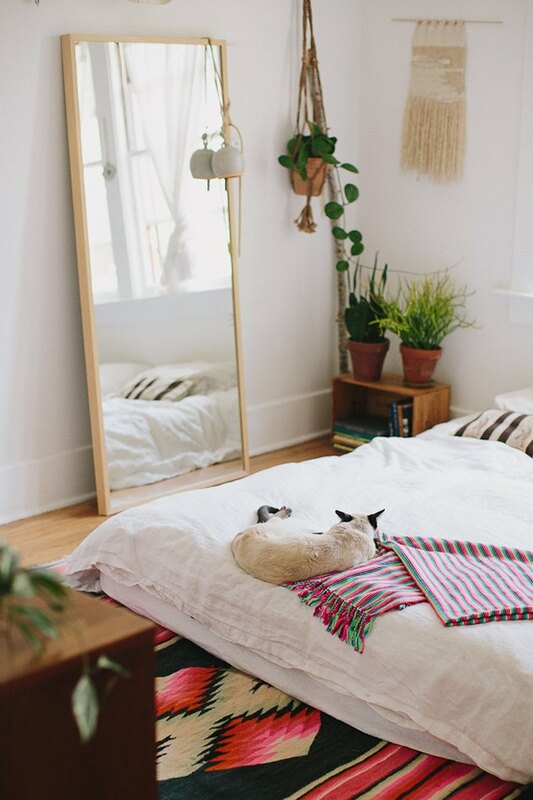 This bohemian bedroom designed by Amber Lewis looks simply effortless. 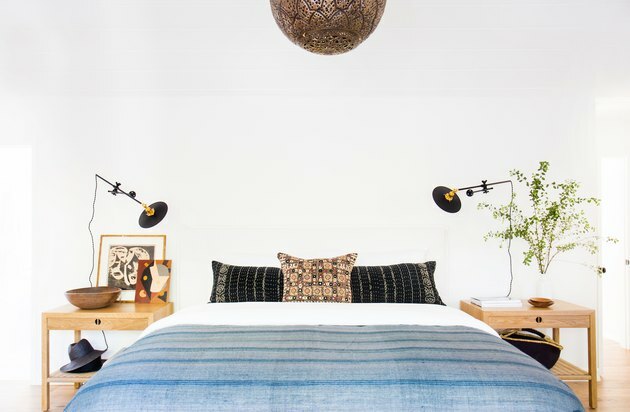 From the mud cloth pillows on the bed to the Moroccan-style pendant light, minimalism and boho details are a match made in design heaven. 11. Create interest with woven furniture pieces. Bohemian bedrooms need tons of texture. So in order to create a layered look, you should think beyond bedding and rugs. Woven furniture, like this set in The Harriet House, adds visual interest. 12. Try a bold accent wall for added drama. Add drama to your bohemian bedroom by painting an accent wall in a bold, eye-catching hue. The navy wall in this California home helps anchor the rest of the room. Natural accents are a signature of boho style. 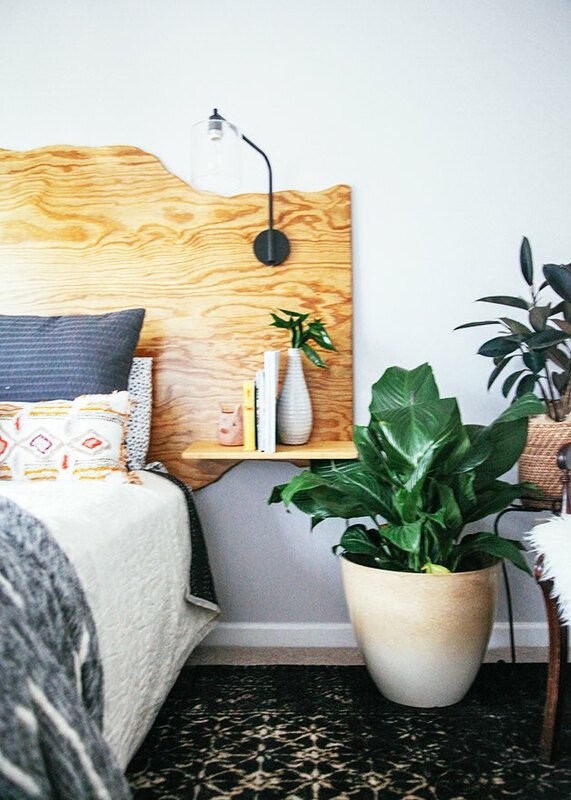 This DIY headboard, made by Gabe and Anna over at In Honor of Design, was created to look like a piece of live edge wood — and done on a shoestring budget, too. 14. Pile on an assortment of pillows. No boho bedroom is complete without tons of colorful, patterned pillows. And in this case, the more the merrier! So stack 'em high and don't worry too much about being matchy-matchy. This look thrives on diversity, as long as some of the key colors are cohesively carried throughout your pillow collection. 15. Go the extra mile with interesting decor accents. 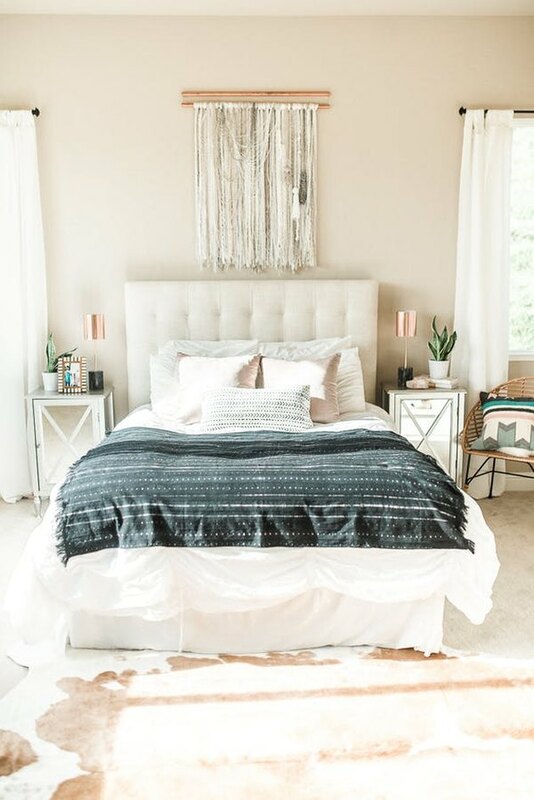 Since bohemian bedroom style is all about layers, incorporate multiple eye-catching elements into your space. 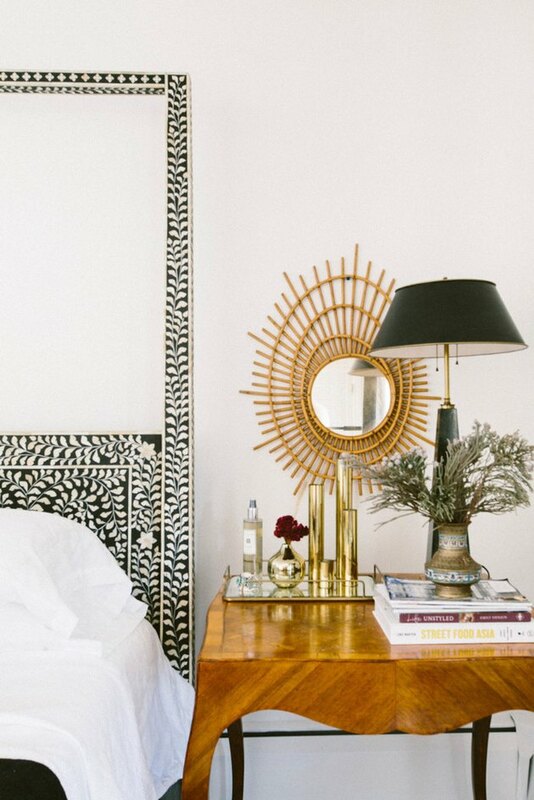 Designer Veronica Hamlet paired this this inlaid headboard next to an asymmetrical wicker mirror in her Michigan home. While this combo might be taboo in other design styles, it helps bring boho style to life. 16. More is more when it comes to boho style. 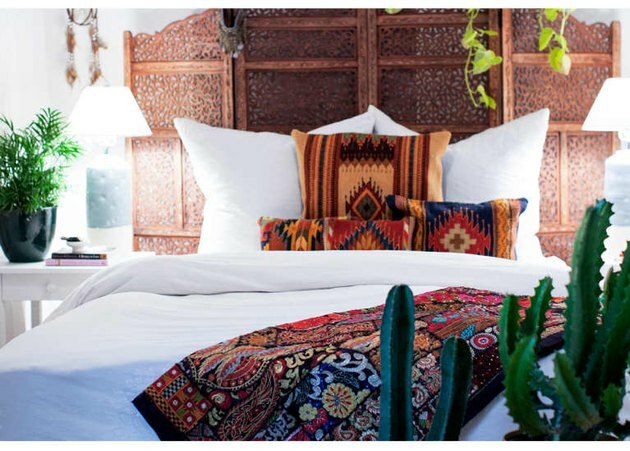 More really is more when it comes to bohemian bedrooms. In Spencer Monk's nomadic-bohemian abode, the surprises keep coming. 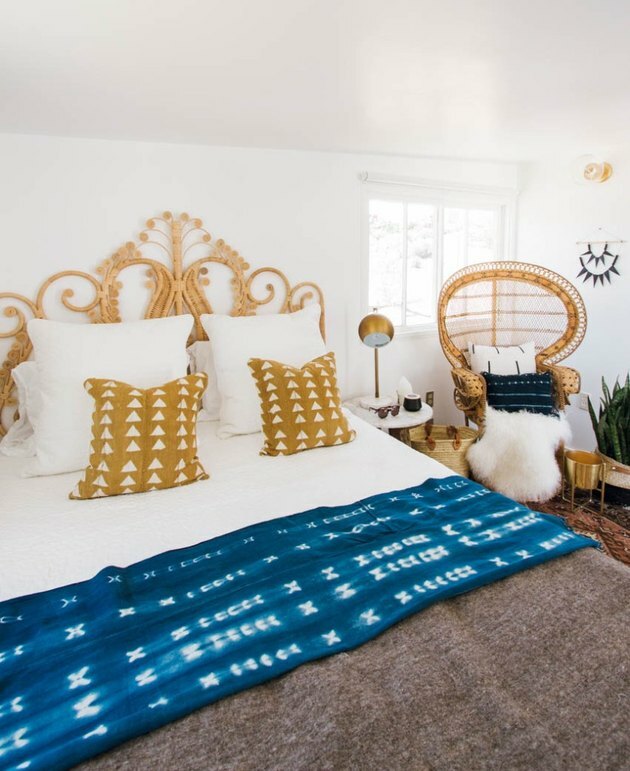 From woven bowls on the wall to a geometric wall hanging made by her husband and her father, this boho-chic room has something exciting to look at from every angle. 17. Create a neutral base so accents pop. 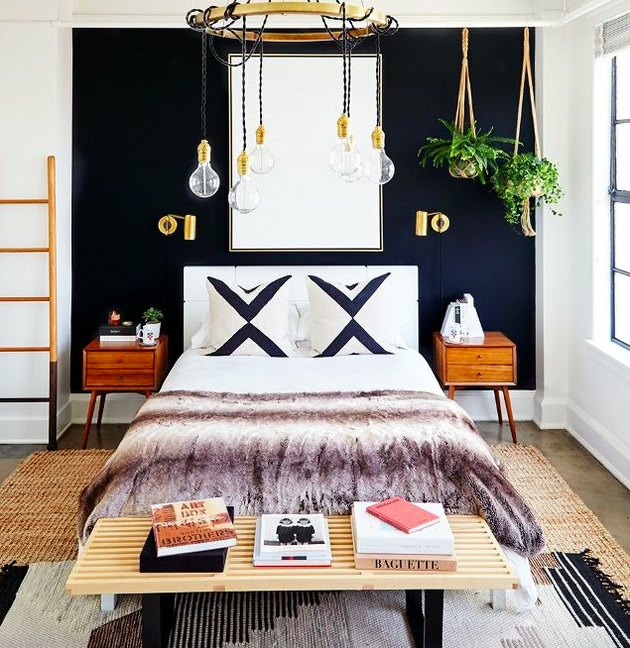 Since bohemian bedrooms tend to feature a handful of eclectic items, keep your space from looking cluttered by painting your walls a neutral color. In Dabito's New Orleans pad, the white walls, white duvet, and white lounge chair help the more colorful accessories really stand out. 18. Pull in influences from all different decor styles. Since boho style is so eclectic and wide-ranging in its influence, it's okay to incorporate your favorite pieces from other design styles. Here, a woven basket and pillows evoke a tribal vibe; a leopard accent pillow is pure luxe; and a skull feels southwestern, proving that anything goes. 19. Skip the bed frame altogether. 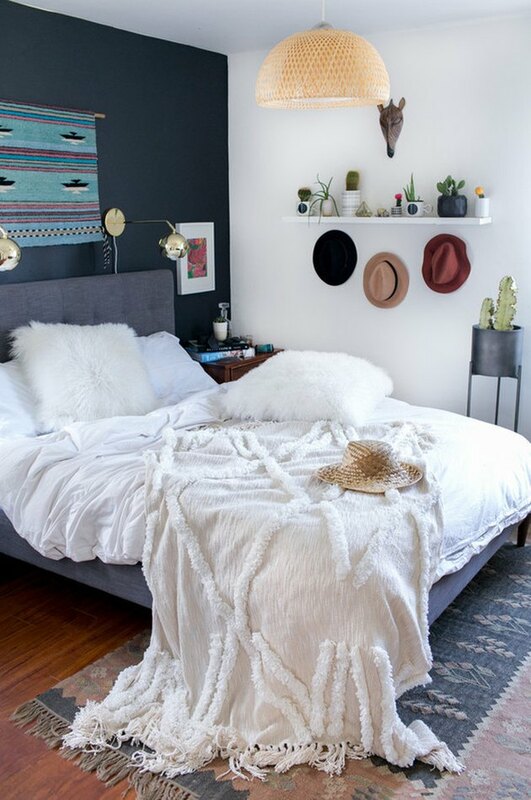 One way to instantly achieve boho flair in your bedroom is to skip the bed frame altogether. Just plop the mattress right on the floor to create that effortless and understated style — and save money, too. Mix and match different patterns in a single color scheme to create a layered look. The key to success is choosing patterns of different sizes. 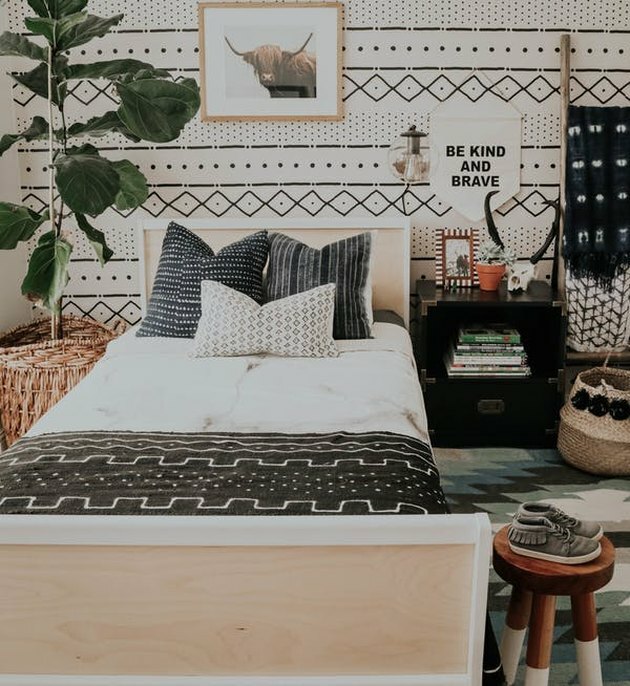 In Lauren Peelman's boho farmhouse, the smaller patterns on the pillows balance out the larger pattern on the wallpaper, creating an overall look that's making us miss summer camp.